When we were first engaged to promote safety practices to British dock workers, it became clear that the challenge was not just to create a venue to host these educational sessions, but also to use that facility to force workers to take a break in their dangerously monotonous day on the dockside. The result was ‘Caution Cinema’: a fully immersive, multi-sensory, pop-up cinema experience. 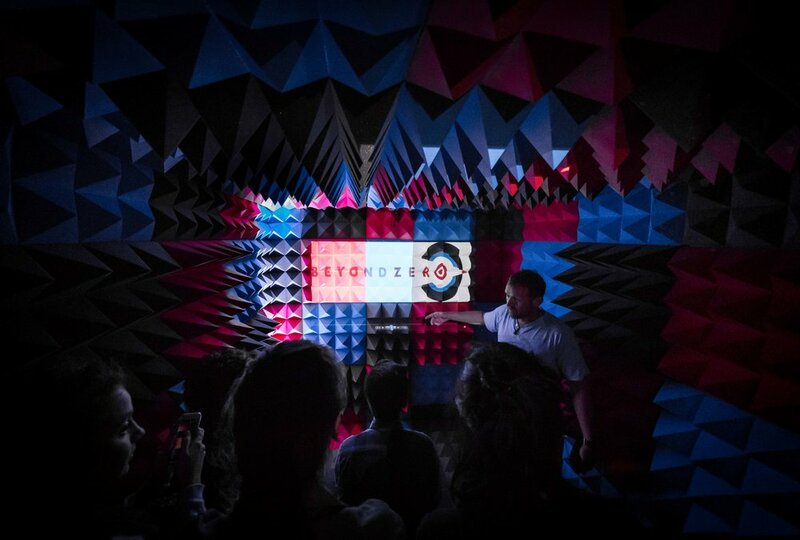 We took a shipping container (something commonplace in a dock environment) and turned it into something very alien, ensuring the full attention of participants from the moment of encountering the cinema. 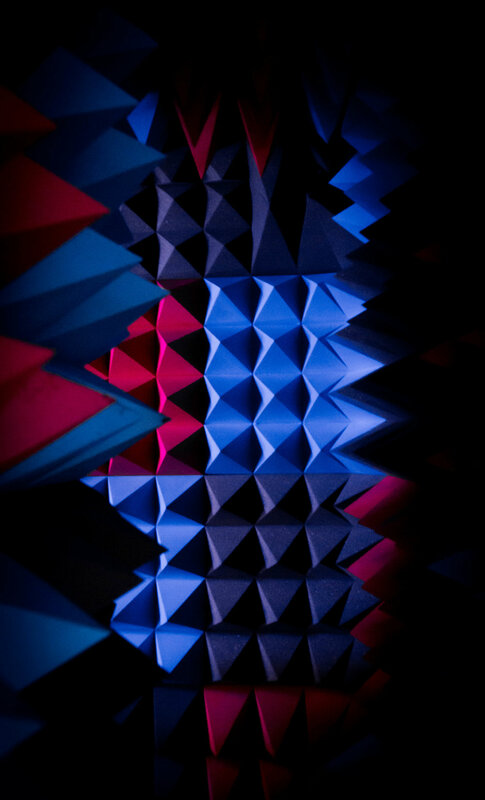 Coloured acoustic foam was used on all internal surfaces to create a semi-anechoic chamber that ensured all minds were focused on the safety video presentations. This project successfully shattered preconceptions and heightened awareness by disrupting the routine of everyday tasks, ensuring the gravity of the subject was fully absorbed. Caution Cinema is currently touring British ports, spreading our client’s safety message.